The Brown Muses are back again with yet another joint review. What comes to your mind when you think of strawberries? That gorgeous looking red coloured, sweet and tangy fruit, right? The idea of using the fruit in our bath and skincare products sounds truly exciting. We understand that the market is loaded with products that claim to have strawberry as one of the ingredients but sadly that usually means the products contain artificial fragrance/extracts made using toxic chemicals. 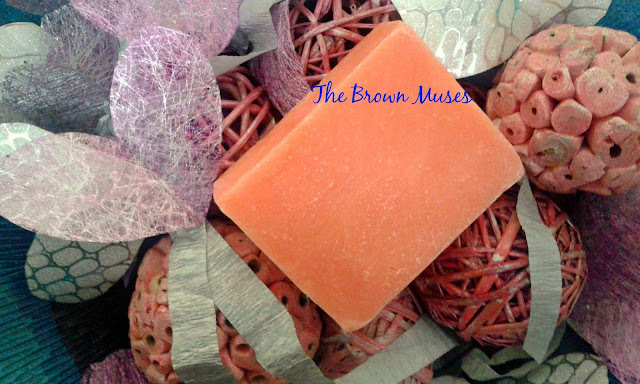 Today we are going to talk about Strawberry Soap Bar from the house of Aura Crafts that is devoid of harsh chemicals and contains pure strawberry EO. "STRAWBERRY BAR SOAP // Treat your dark spots and blemishes with our 100% natural Strawberry Bar this summer! This handmade bar contains anti-oxidantal properties that fight acne, lighten spots and protect the skin from sun damage." Ingredients: Beeswax, Castor Oil, Coconut Oil, Sunflower Oil, Strawberry Essential Oil, Lye and distilled water. 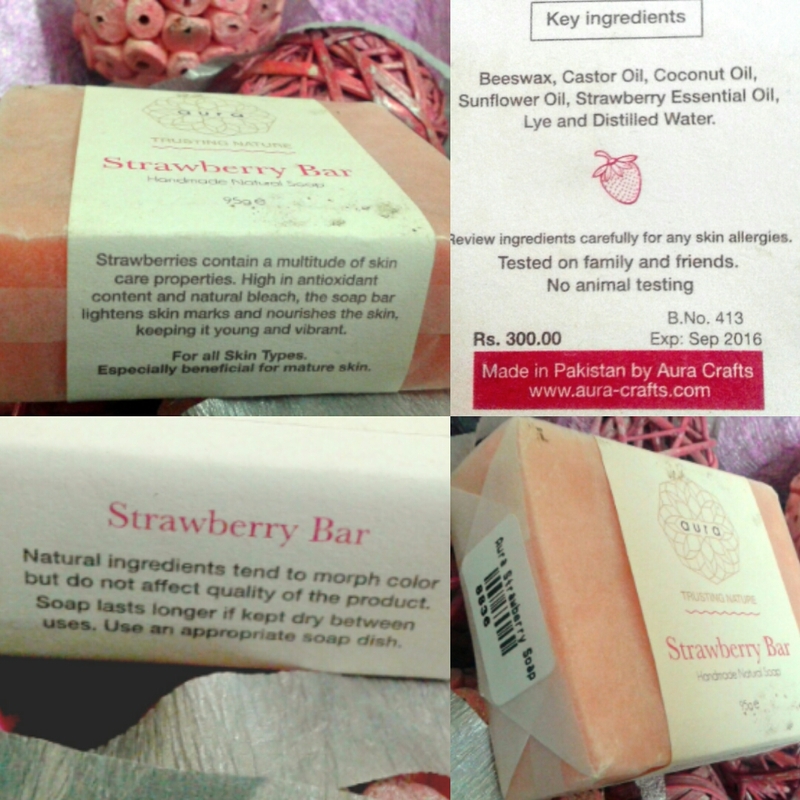 Deepika: Aura Crafts Strawberry Soap is a simple looking bar which is pink in colour. The bar has a sweet smell of strawberries and is an absolute delight to use. It makes the shower time pleasing and is a perfect fragrance for those warm summer mornings. The soap produces a mild lather with lots of bubbles and cleans the skin efficiently, rinsing off in a whiff. What I also liked about the soap was the fact that it didn't melt like crazy when dried between uses because that's the secret of making a handmade and natural soap bar's longevity. What I didn't like about the soap was that while it's moisturising for oily skinned beauties and they can easily do away with the moisturiser, however, dry skinned beauties would need to follow up with a light moisturiser and my skin type is dry to I had to follow up with a light weight moisturiser. All in all, Aura Crafts Strawberry Soap is a decent soap bar to include in your bath. It not only cleans your skin but also keeps the conscious clear that we ain't putting harmful chemicals on our skin that the commercials soaps are loaded with. Samra: The Strawberry Soap bar by Aura Crafts comes in a simple packaging with the brand's label and necessary information including the ingredients of the soap, benefits, targeted skin type, manufacturing and expiry date as well as directions for usage. The ingredients and fragrance of this pink coloured, rectangular bar weighing 95 grams, were the first things to catch my attention. The fragrance is mild but has a fresh, summer-y feel to it. Extensively used in massage oils and as a fragrance oil in perfumes and for aroma therapy, strawberry essential oil is said to be loaded with antioxidants, which reduce wrinkles and effects of aging. In addition, the presence of castor, sunflower and coconut oils, all of which are rich in Vitamin E, and the later is known for its excellent lather producing property, made me believe that this is going to be the perfect food for my skin in summers. Upon using it, I discovered that this soap bar produces enough lather as expected from a soap free from chemicals, but when I used loofah to rub my body, as always, it produced a crazy amount of lather and more bubbles than before. Upon washing, it left my skin squeaky clean, and moderately hydrated. However, it did not strip off moisture unlike the commercial soaps, which are loaded with chemicals. Since I have a super dry skin type, so I always prefer slathering a light-weight body lotion on my body after using this soap. Moreover, the soap bar does not melt like crazy, (which is often a problem with handcrafted natural soaps), if kept in an appropriate water-draining soap dish. Had it been more moisturising, I would've been a happy.. puppy? lol. Nevertheless, I strongly recommend this soap bar to people with oily, combination or normal skin types. 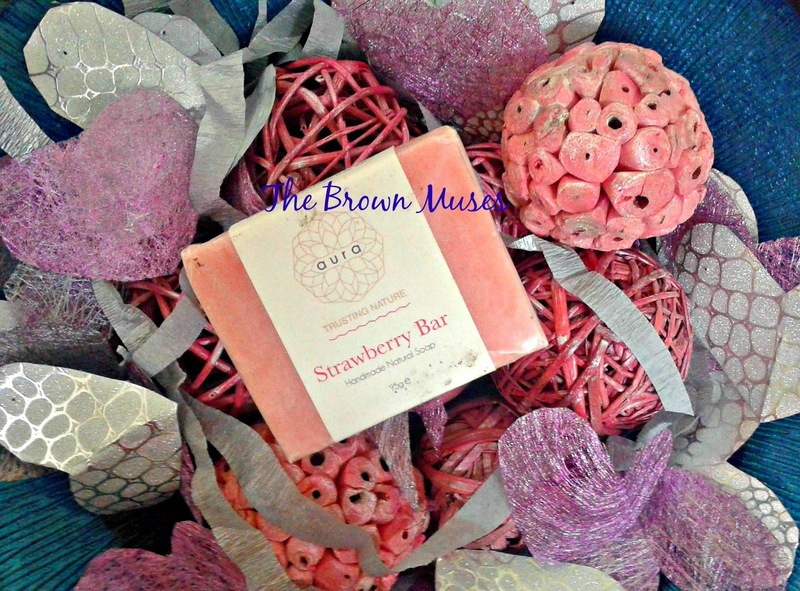 If you are looking for a budget friendly, moderately moisturising and delicious smelling handcrafted soap bar enriched with the goodness of natural ingredients, Strawberry Soap bar by Aura Crafts is your call. Use a loofah while bathing, if you would like your handmade soap to produce more lather. Make sure that the soap is dried between uses. Handcrafted with Au natural ingredients. Does not melt like crazy. Produces decent amount of lather. Leaves the skin squeaky clean. People with dry skin may not find it adequately moisturising. Price and availability: The soap is easily available across stores in Pakistan for PKR 300/- for a 95 gm bar and one can also place direct orders by emailing or messaging the brand on their Facebook page here. Hope you enjoyed our joint effort! Stay tuned for more reviews and surprises coming your way, and do not forget to leave a comment in the comments' section below. Disclosure: The product featured in this post was purchased by Samra from Shams, Super Market, Islamabad, while Deepika got hers as a gift from a Pakistani friend. The views expressed hereby are strictly unbiased and based on our personal experiences with the product. HAUL: Deepika's picks from Tiki-ah!